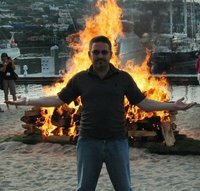 Vincent j Kellsey is one of only 10 or so active firewalk instructors in the world, and is in the top 10% of those who lead this event worldwide. He has led events for clients such as Warner Brother Studios in Hollywood, one of the top 10 Network Marketing Companies in the world, Young Professionals Organization, and many other corporate and private clients. He and his team have a 100% track record of safety and client satisfaction. Want to find out more about the firewalk and how you, your team, or your company can have Vincent and the QSG Firewalk Team come and hold an event for you ? Click on the link below to see video footage from a previous event we did for one of our corporate clients. Visit our testimonial page to find out what other companies and individuals had to say about the QSG Firewalk Experience. We look forward to creating an amazing breakthrough experience for you and your entire team! Contact us today to find out how we can come and do this for your company or team!